Words by Dean Campbell. Photos by Andrew Snucins and Jason Nugent. Teams arrive today in Bancroft, Ontario for the sixth round of the Canadian Rally Championship, the Lincoln Electric Rally of the Tall Pines. While some titles have been locked up, there’s plenty to fight for in the heart of the Canadian Shield. With four of the top five drivers on the start list having finished on the podium in the last decade, victory at the Rally of the Tall Pines is certainly not to be taken for granted. 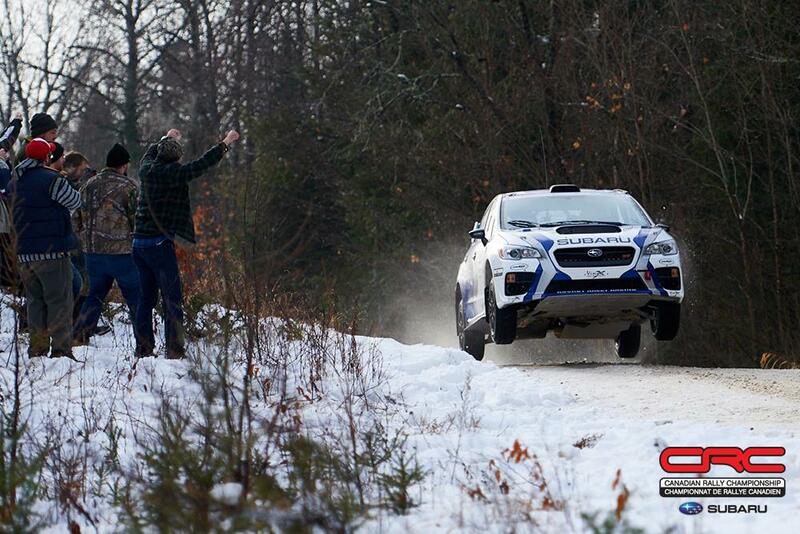 Few competitors know this better than championship leader and Subaru Rally Team Canada driver Antoine L’Estage. In the last ten years, L’Estage has won this event four times, but has also failed to finish on three occasions. Twice more he has finished on the podium, and he scored a fifth place in 2009. L’Estage knows that victory here can be snatched away at the last moment, and will be forced to concentrate on managing both pace and endurance to arrive atop the podium. He leads the driver’s standings by 13 points over Leo Urlichich and 15 points over Brandon Semenuk. For L’Estage’s co-driver, Alan Ockwell, the points battle is even tighter. Ockwell leads over John Hall by just three points. An error by either team would determine the championship victors this weekend. Meanwhile, L’Estage’s Rocket Rally compatriot Brandon Semenuk may also be the greatest threat. Semenuk has shown impressive speed at each event he’s contested. Though still the underdog for the moment, Semenuk and Hall will be fast enough to pressure L’Estage and Ockwell. Semenuk displayed excellent judgement and skill at his Tall Pines debut two years ago, finishing second overall. Last year, problems with the car saw the team struggle to find pace, and this year, with a well-sorted car, they’re likely to be hunting for redemption. Semenuk also has a long shot at winning the North American Rally Cup title. He is 12 points back of David Higgins and Travis Pastrana who are tied for first place. If Semenuk wins at Tall Pines and the season finale at Big White, he would pass the two Subaru Rally Team USA drivers by just one point to claim the title. Leo Urlichich has already locked up the Production 4WD title, and is second in the overall championship hunt. If Tall Pines roads are slippery, the power difference between Open and Production class cars will mean little, and Urlichich proved he and co-driver Alex Kihurani can be fast on slippery surfaces, setting competitive times and ultimately winning the Rallye Perce Neige. 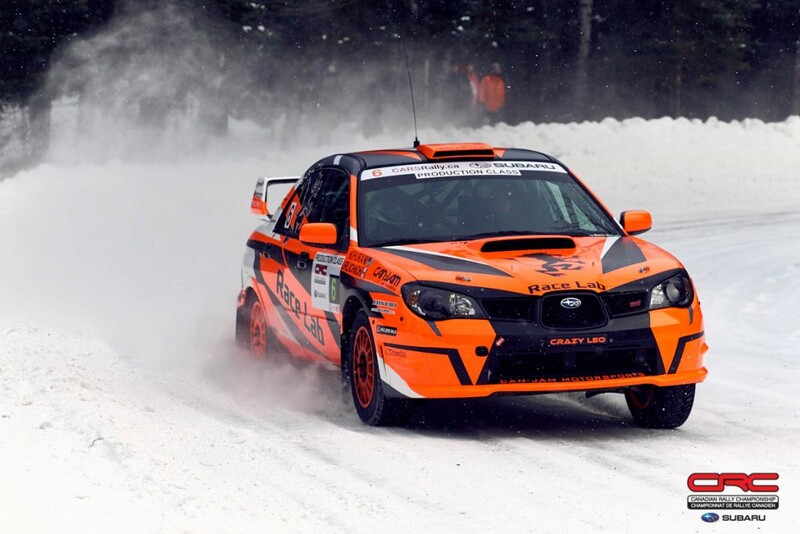 The pair will need to beat L’Estage and Ockwell outright both this weekend and at the finale at the Big White Winter Rally, which could be a tall order. The 2011 Tall Pines winner has overcome long odds in the past, and shouldn’t be counted out. 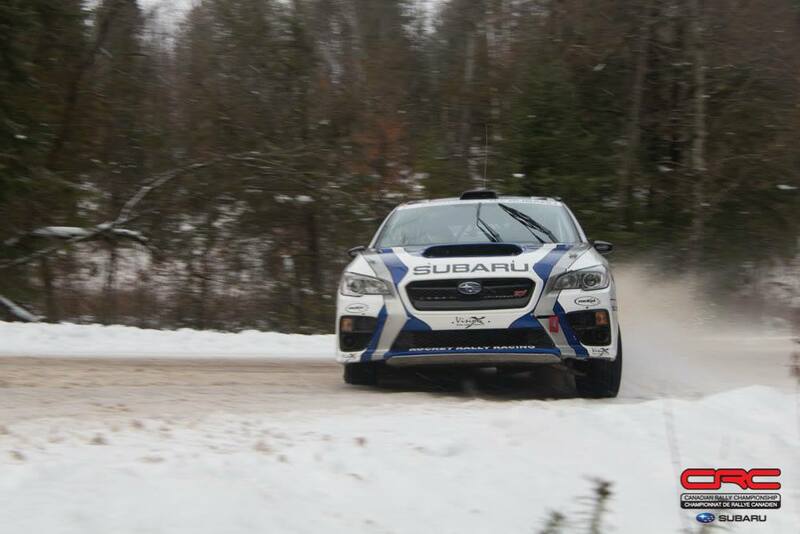 Simon Vincent and Hubert Gaudreau finished third at the Rally of the Tall Pines, marking Vincent’s third consecutive Tall Pines podium finish, having co-driven to victory in 2015, and to third place in 2014. While the pair don’t demonstrate the same blistering speed as other front runners, they know that Tall Pines rewards consistency. Look for the pair to challenge for a podium position through careful driving. The only driver among the top five starters to have not finished on the podium at Tall Pines in the last decade is Jean-Sebastien Besner. His co-driver Yvan Joyal has twice finished on the podium with Bruno Carré. If the car remains reliable and the team stay healthy, they have the pace to finish with a champagne spray. A few ringers could stir things up for the front runners. 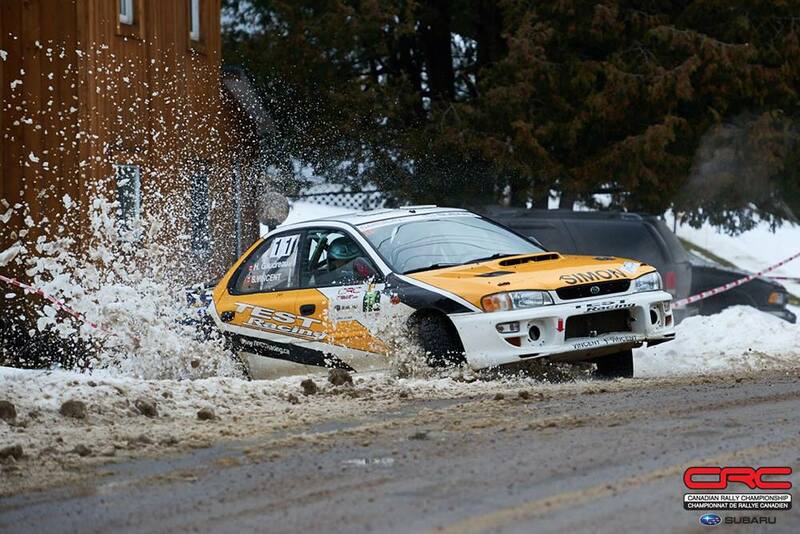 Peter Thomson and Dan Sprongl haven’t been competing nationally, though the 2005 Canadian Rally Champion has contested some regional rallies. With warmer temperatures and good grip, Thomson could decide to push, however, if roads stay icy, he’ll adopt a more conservative pace. Martin Donnelly and Angela Cosner will be debuting a new car at Tall Pines. Priority will go to testing and tuning the car to evaluate performance and reliability. If those factors hold up, Donnelly might opt to push on a favourite stage. Connor Martell and Gregg Dorman are a questions mark here. Their first time to Tall Pines, the pair have close ties to VTSportsCar, and Martell drives a GRC Lights car with the backing of DirtFish. They’ve certainly got the right elements, so this will test to see how well they combine all the pieces. Travis Nease and Krista Skucas have travelled from the Pacific Northwest USA for their first attempt at the Rally of the Tall Pines. For rookies, this rally can be punishing, but Nease has been obsessive in his preparations, watching every year of event coverage to be found, as well as hours of in car footage. The team have taken on most of the Canadian Rally Championship, running on a modest budget. They’ve got a small selection of tires and are hoping for favourable conditions. 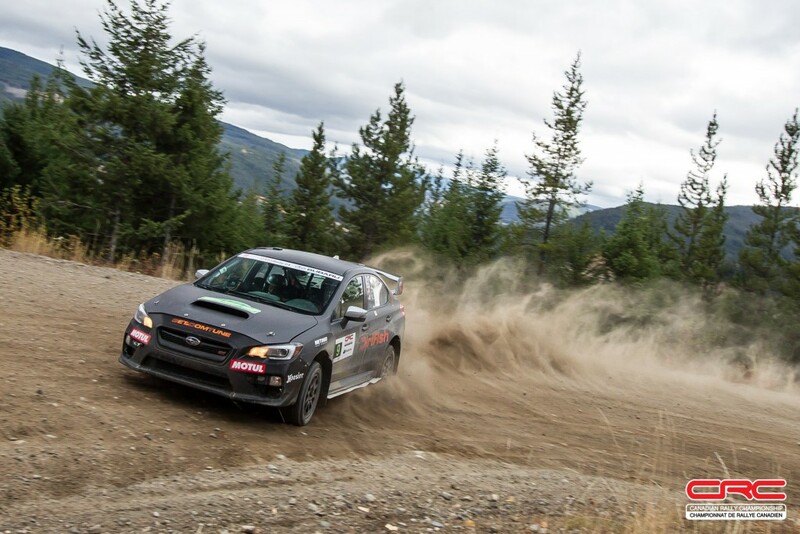 But don’t be fooled; the team finished fourth at Pacific Forest Rally last month without ideal tire options. 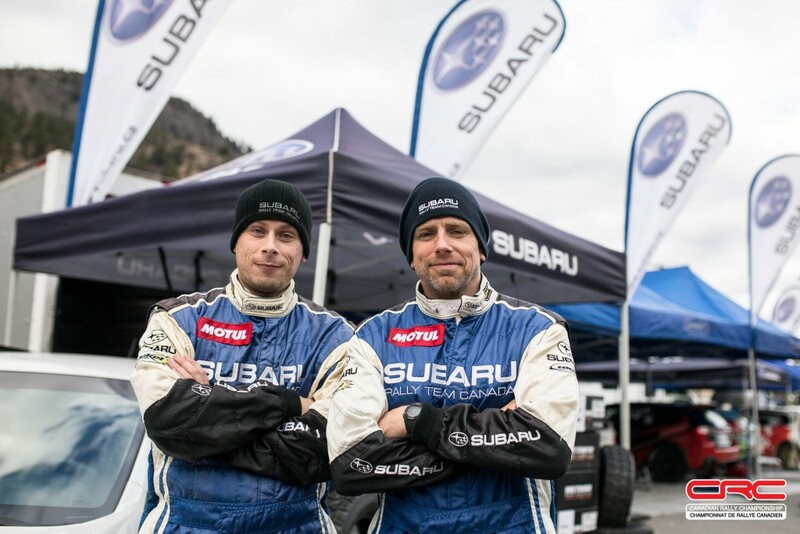 Nease teaches at DirtFish rally school and Skucas has a wealth of co-driving experience. Newcomers to Pines they may be, but rookies they are not. The forecast for the Bancroft area suggests warmer daytime temperatures leading into Saturday’s competition. However, those temperatures coincide with rainfall, and then freezing temperatures as the sun goes down. That mixture is sure to make already slippery roads even moreso. As is often the case at Tall Pines, discretion may be the better part of valour, and the path to the podium. 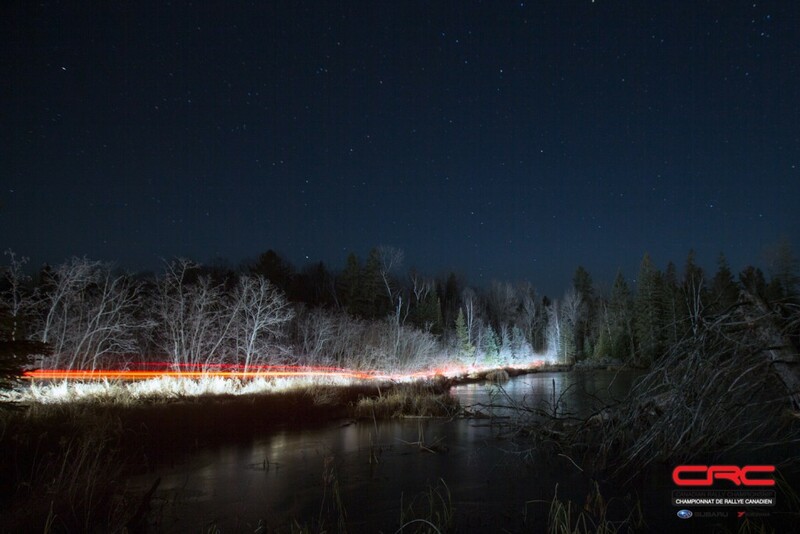 Be sure to follow all of the action from the Rally of the Tall Pines with the only official source for news from the Canadian Rally Championship. You’ll find updates and livestreams on Facebook, as well as great photos and insights on Instagram and Twitter. And of course, check back here for the final word on the 2017 Rally of the Tall Pines.